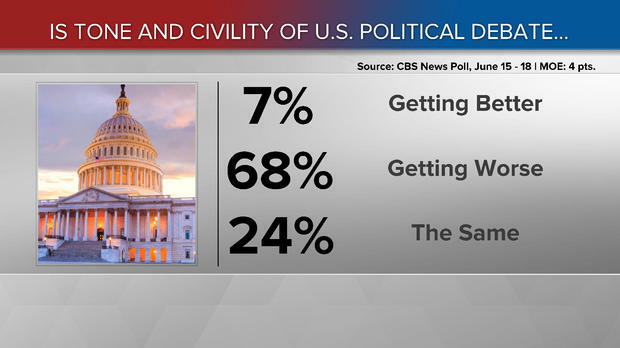 As per s CBS News poll, an overwhelming number of Americans believe the political debate in America is becoming increasing uncivil. Well, maybe that is because it is. But then again, hasn’t it been uncivil for quite some time? However, since Donald Trump has become president, the LEFT has completely become unhinged and their so-called leaders have said some shameful and hateful things. Last week we were witness to a far-Left individual who volunteered on the Bernie Sanders campaign attempt a mass assassination of Republicans. 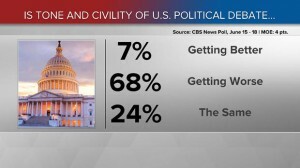 Sadly, Americans who are polled only seem to be creatures of the moment as reported at the Politico, a majority approve of Congress’ handling of shooting. Wake up America, talk is cheap. 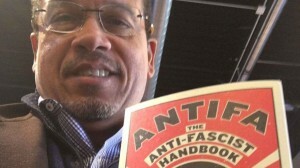 One week later, Democrats are back to their old ways. 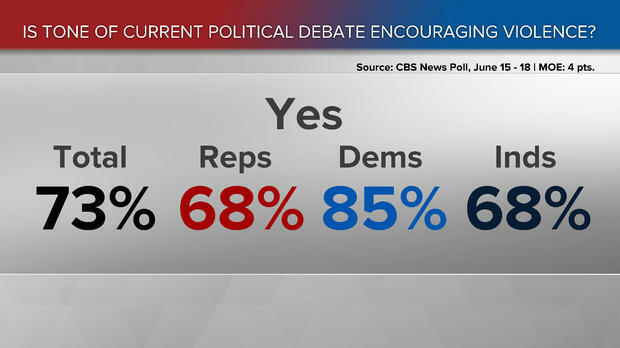 What is ironic is that 85% of Democrats polled said that the current tone if political debate is encouraging violence and yet it is that that are causing the violence. Members of Congress are getting positive ratings for the way they responded to the shooting in Alexandria, Virginia, last week. President Trump gets slightly lower — though still net positive — evaluations for his response to the attack, partly because Democrats are less likely to approve of his handling than of Congress’. 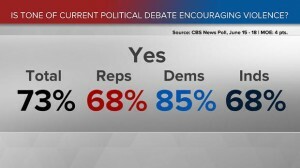 Fifty-three percent of Americans approved of Congress’ response, and 29 percent disapproved, while 46 percent approved of President Trump’s response, and 36 percent disapproved. Seriously America, take a good hard look to who is promoting and causing the violence. Donald Trump said Sunday in Staten Island, NY. “I hope it doesn’t involve violence, and I don’t think it will. But I will say this, it’s a rigged system, it’s a crooked system. It’s 100 percent corrupt.” Really Donald, you are still whining about this near one week later? With regards to Trumps comments that he hopes there is not violent, I would say, you are hardly doing anything to prevent it as you get people to a fever pitch with your rhetoric. There are plenty of things in politics that are rigged and corrupt, however, this is not one of them. I wonder is this is how he acts in his own business when he has to follow the rules that are set up to bid a contract? It is disconcerting that Trump does not seem to grasp the delegate process that has been around forever. If he cannot understand and navigate his way thru this process, what is he going to do when it comes to the electoral college and the job of president of the United States? Folks, you don’t get to be a king when you are president. Note to Republicans, isn’t that one of your main gripes about Barack Obama? Republican presidential candidate Donald Trump said Sunday that he hopes a contested Republican convention in July “doesn’t involve violence” if he is denied the nomination during second-ballot voting. 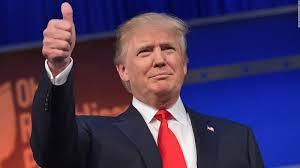 Trump said Saturday that the Republican National Committee is in for a “rough July” if he does not receive the nomination despite his overwhelming delegate lead. If the billionaire fails to cross the 1,237-delegate threshold necessary to clinch the nomination outright, anti-Trump conservatives hope to challenge him at the convention and install an establishment-friendly alternative.